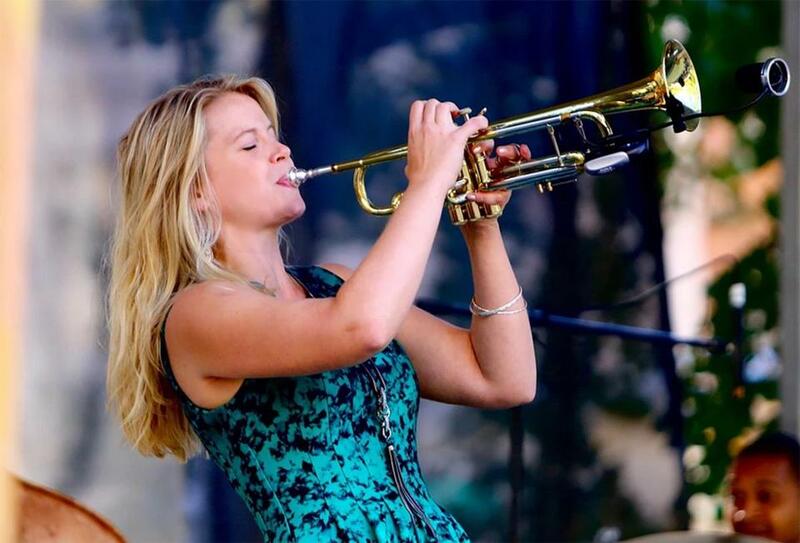 Trumpeter/vocalist/Juno Award-winner Bria Skonberg will headline the seventh annual New Bedford Jazz Fest on June 9. If last weekend’s Boston Calling has you jazzed, jump in the car and keep those good times rolling. From bluegrass on the campgrounds to jazz by the sea, we’ve rounded up New England music fests worth the road trip — whether or not you’re packing your tie-dye into a VW bug. Your summer of love starts now. The Green Mountains are alive with sound of music at the 35th annual Burlington Discover Jazz Festival. The days-long fest is rocking near Lake Champlain now through June 10 on four outdoor stages, and in some 20 venues around the hip Vermont town. You’ll find dozens of artists playing free music each day, plus some ticketed shows. Upcoming ticketed A-listers include Grammy- and Tony Award-winner Leslie Odom Jr. of “Hamilton” fame, jazz/roots darling Rhiannon Giddens, and Bill Frisell Trio. Burlington is studded with farm-to-table restaurants, hip bars and unique shops, plus food trucks at the waterfront. GPS to Flynn Center for the Performing Arts: 153 Main St., Burlington. Parking available throughout downtown. parkburlington.com. 802-863-5966, discoverjazz.com. The 14th annual Provincetown Jazz Festival is actually two separate nights of jazz, only one of which is in Provincetown. Both are good excuses for a summer trip to Cape Cod. Cassandre McKinley headlines Provincetown’s The Crown & Anchor Aug. 9. ( 7 p.m. $30. 247 Commercial St., 508-274-2513, 508-487-1430. onlyatthecrown.com ) Tim Ray, longtime pianist for Lyle Lovett, and bassist John Lockwood are among the entertainers at Cotuit Center for the Arts Aug. 13 at 7:30 p.m. $30. 4404 Route 28, Cotuit. 508-428-0669. www.provincetownjazzfestival.org.